My name is Samson Itoje, CEO Erimama Investment company Limited Lagos. I am a Lagos real estate agent. I created this Lagos property web site to help forward-thinking people like YOU become home owners in Lagos. I want to help you buy house or land for sale in Lagos so you can become a landlord in Lagos, just like me. 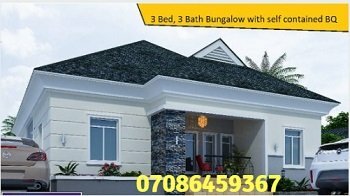 I am a property owner in Lagos and I can tell you for free that there is nothing as exciting and fulfilling as living in your own house. So, whatever you do, make sure you invest in Lagos Nigeria real estate. Buy land for sale in Lagos and build your own house. Or buy an already built property in Lagos. 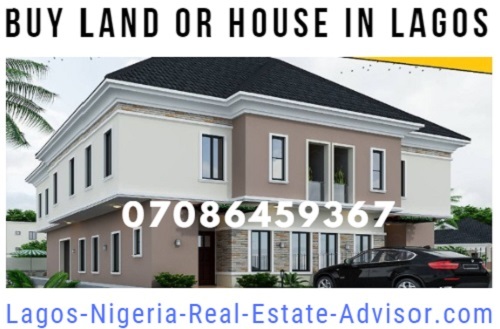 Why Buy Land or House In Lagos? You may wonder, "why should I buy land or house in Lagos? Why not in my village? 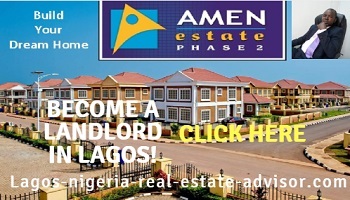 There are two key reasons why it makes financial sense to buy land or house in Lagos Nigeria. First, Lagos is peaceful. There are no militants in Lagos. Where there is peace, there is prosperity . . . there is investment security. This means that when you in Lagos Nigeria real estate, the security of your investment is guaranteed. Second, when you invest in Lagos property, you're investing in a busy commercial city. You see, people are continuously trooping to Lagos Nigeria in search of a better life. At one time the population of Lagos was 9 million people. Then it grew to 15 million people. And now the population is estimated at over 22 million people. More and more people trooping to Lagos means continuous increase in demand for houses. Increased demand translate to increased property price. The price of land for sale in Lagos (and houses for sale in Lagos) are constantly rising. Therefore, if you buy Lagos property, the value of your property will rise year after year. For example, land at one of our estate sold for 1.4 million Naira per plot a year ago. Today, just one year after, land in that same estate is selling for 2.5 million Naira. That is a growth of about 78% in just one year. 78% return on investment in just one year. That is huge! Want to see a growth of 30 to 78 percent in your real estate investment year on year? Then you should buy land for sale in Lagos (or houses for sale in Lagos). Click HERE to see our list of land and houses for sale in Lagos. Chat with Samson Itoje on WhatsApp: Click HERE to chat with me on WhatsApp and tell me exactly the kind of property you wish to buy. And I will help you secure your dream property. 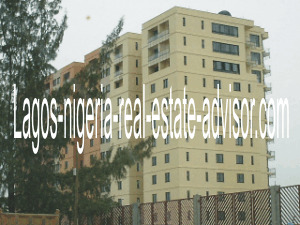 Want to Keep abreast with real estate investment opportunities in the Lagos Nigeria property market? Simply subscribe to the Nigeria Real Estate Guide newsletter by entering your email address in the form below. Then CLICK SUBSCRIBE. 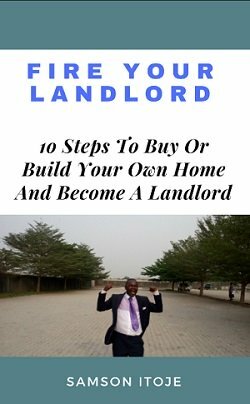 If you subscribe TODAY, you will get my FREE BONUS, the Lagos property investment manual titled, "Fire Your Landlord - 10 Steps To Buy Or Build Your Own House And Become A Landlord"
Simply enter your email in the form below and click the SUBSCRIBE button to get this FREE Real Estate Investing Manual.